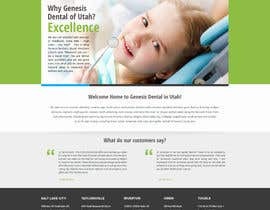 We like most of the content of our website, but do not like the look and feel of our site. We have put a lot of money into video creation. We want to keep the videos. Our logo is green and will stay green, but the shade of green can change. We want a new color scheme for the site (too much white) we have used browns with the green in the past and have liked that combination, but feel free to pick something else as well. 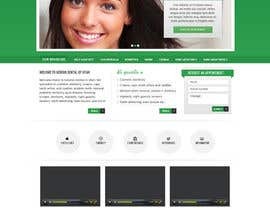 We want a lead generation form to be part of every page. For us the lead generation is "request an appointment". We want the fill out form on each and every page not just the link to the form. 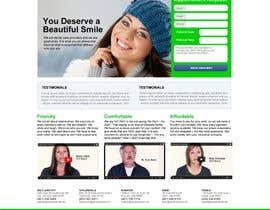 We don't like any of the things at the bottom of our site "Our Approach" "Services" "Why" Download Forms" 'Yes we can Help" "Testimonials" "Embarrased by your smile". All of that can go. We would like a link to testimonials but it can be anywhere. Feel free to message any questions, comments, or clarifications. Kindly check the entries number #56 and #57 . 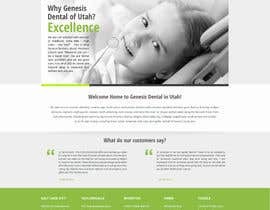 Designed specially for Genesis Dental. CHECK LINKS provided in description and go through the demo properly for live example related to the entries. 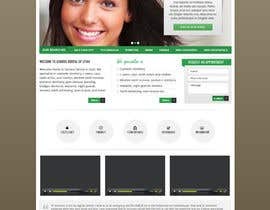 You can get the idea that how the website will function and even the technique of showing videos to client i.e. while surfing the website one can go through the video at background. Dear CH, have you selected the winner yet? is this contest still open? 1.What do you mean by "Our Approach" "Services" "Why" Download Forms" 'Yes we can Help" "Testimonials" "Embarrased by your smile"; all of that can go .... do you want them or not? 2.Do you want all the 7 locations to be on a drop-down list of "Locations"? 3.Do you want to have the phone #s the same way they're displayed now i.e. in one line on the top? You have not submitted a proposal yet. Are you still working on it? Hi Jason, sorry for late reply. Had some other things to do. I'll start working on your one today and try my best to submit by Thursday. One last thing to ask: do you want the images on the right and what about the community link? Uploaded my Mockup, please check #40 and #41 . Thank You. I've submitted my entry. Please take a look at it. Working on my design, I'll upload soon. The most recent entries have finally started including the basic requirements(videos and request an appointment FULL form). This is great. Also, we prefer the designs that have all three videos on the page together or as an animation that automatically scrolls through each of the three videos over the designs that require the user to click on a link to get to another video. Finally, now that most entries have the required parts the thing that will set the winner apart is how polished and professional and high quality the design looks and feels. Thanks for all the entries so far. Let me reclarify a few things. The initial entries seem to be frequently failing on 2 things that are required. First, the three videos that we have on the existing site must be used on the home page of the new design. Second, the lead generation form "Request an Appointment" must have the FULL form and not just a link to the form. We prefer to have it on the right side near the top, but that is not a requirement. Sir, can the "request for appointment" form appear in popup box or something like that? It can. Not our first choice, but if it is very prominent then we would consider it. Sir, kindly check #14 and provide me with feedback. Likes or dislikes!! I have added an entry ,pls check it and let me know if you want any changes. Hi Jason, I am not that confident about my HTML skills, but i can design your site. Can the design alone be done with support for implementation when the project is awarded to someone else for coding and implementation? That is a possibility. Do you have someone to do the html or would I find the person to do the html implentation? Once the design is finalized. Let me know. 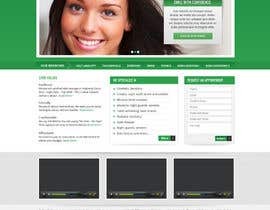 I am ready to convert it to complete HTML / CSS site. 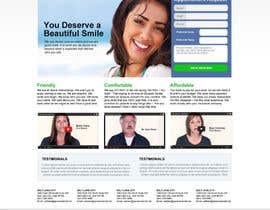 The mailing form (Request an Appointment) will be completed using PHP. If you want we can implement an admin area to login and view the 'Request an Appointment' inquiries. Hello, Could you please seal the contest? Ok the contest is sealed. What does sealing the contest mean? Ok. The contest is sealed. We are interested in providing our services. Ok. Do you have any questions or comments before you submit your proposal?